“So Sri Lanka is an amplifier brand that supports and engages typical millennial travel exploration,” Vasantha Senanayake, the then-minister of tourism and wildlife, told press at the brand’s launch at the end of October. In line with this goal and to capitalise on being named the best country to visit in 2019 by Lonely Planet, on October 23 the SLTPB announced that it would set aside US$350,000 for a promotional campaign on Lonely Planet’s media channels for a period of three months. Havas Media India and US-based Ionic Media Institution will implement a campaign in India and China, respectively; Digital Spring in the UK will run a promotional programme there at a cost of US$703,480; Germany’s Media Consult International Holdings will implement a US$697,770 campaign; and France-based Interface Tourism will conduct a US$706,460 marketing programme. The combined investment for the promotions is US$3.5 million, according to the SLTPB. According to a survey conducted by SLTDA at Bandaranaike International Airport in 2017, 41.9 per cent of visitors to Sri Lanka in that year fell in the 20-29 age bracket. Some 27 per cent of total visitors stayed in guesthouses or informal sector accommodation providers, with 56 per cent of visitors staying in rated accommodation last year. Increased targeting of high-spending markets could improve hotel occupancy rates. By contrast, however, an airport kiosk survey run this year found that 64 per cent of 2978 respondents had used hotels for accommodation, while eight per cent stayed in boutique villas/hotels, 14 per cent in guesthouses, six per cent at homestays, six per cent with friends and family, and two per cent in apartments. The 2017 survey highlighted the potential efficacy of online marketing, showing that 29.5 per cent of visitors were influenced in their decision to come to the country by information accessed on the internet, with recommendations by friends and family second at 27.5 per cent. Even ahead of the launch of the new branding and advertising efforts, the industry has been enjoying a strong year. International arrivals posted year-on-year (y-o-y) growth in every month, reaching a peak of 24.1 per cent in March, according to SLTDA data. In October, the month for which the latest data is available, arrivals expanded by 0.5 per cent. India was the largest source market, accounting for 25 per cent of visitors in that month, followed by China, the UK, Germany and Australia, with 12, 12, seven per cent and five per cent, respectively. 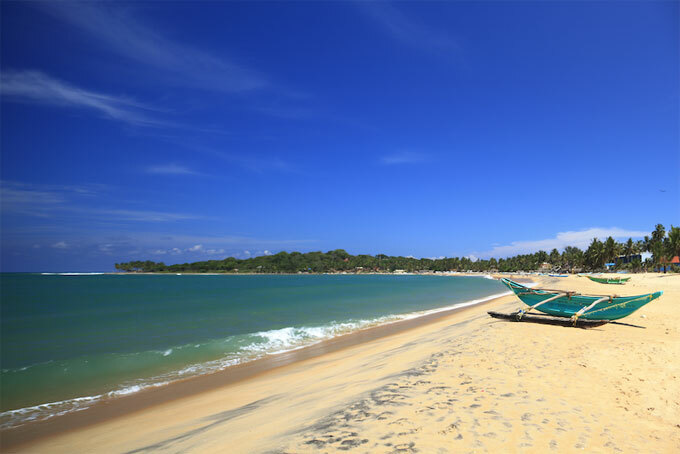 Measured cumulatively, more than 1.8m international travellers visited Sri Lanka between January and end-October, representing a 10.6 per cent y-o-y increase. The increased footfall has been mirrored by a rise in revenue, with the sector generating US$2.9 billion in the first eight months of the year, according to a recent central bank report. The January-August 2018 performance bettered the earnings for the same period of 2017 by US$326 million – a 12.5 per cent gain – and helped offset a dip in remittances from workers abroad, another of the economy’s major sources of foreign currency income. This Sri Lanka economic update was produced by Oxford Business Group.